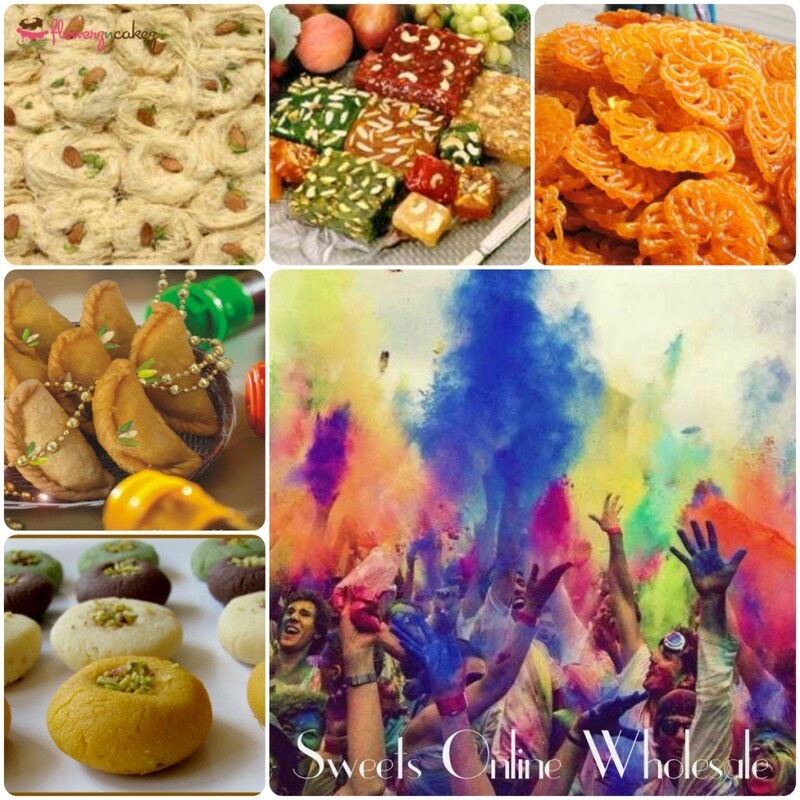 Add More Hues To Your Holi Celebration With Colorful Sweets Online! Holi, known by various names, is one of the major Hindu festivals celebrated usually in the month of March on a full moon day. Painting the hearts of people with vibrant hues, Holi welcomes the most colorful season, right after the cold bites of the gray winter. In India, Holi is a significant festival as it has a deep connection with Lord Krishna. Triumphing over the demon Holika, Lord Krishna established goodness on earth and casted away all the evils. So, as Holi is just around the corner, have you yet decided how you will celebrate it? Well, a festival like this is just incomplete without the famous Indian Sweet dishes, isn’t it? But going to the market, standing in the queue and waiting for your turn sounds hectic, right? True that your busy schedules do not allow you to roam around the streets to find out your favorite sweet dish, but that does not mean you will skip relishing those delicacies. Thanks to the top online stores that have brought a wide variety of special sweets that will satiate your taste buds this Holi season. Check out what you can find in their A-la-carte. After the intoxicating exchange of colors with your near and dear ones, your heart will certainly crave for some sugary taste. Considering your demands, the online Indian sweet shops have brought the mouthwatering Kaju Barfi in their store. Being made of pure milk and cashew, it is all set to pamper your sweet tooth. This quadrangular sweet meat is quite popular among the Indian sweet lovers and Holi is the perfect reason to gorge on it. You have stayed away from all the sweet dishes throughout the year as you might put on some extra kilos. But, how can you celebrate this festival of colors without the Ladoos and jalebis? Just browse into the online stores that offer Indian sweets and place your order for their delicious Motichur Ladoo. You can also go for the sweets online wholesale if your requirement is big and cut down your expenses. Another round juicy treat that awaits you this Holi is none other than Gulab Jamun. Pump up the festive spirit of those who have arrived at your home to greet you “happy Holi” with a platter full of delicious Gulab Jamun. To get the best quality sweets, choose the top-notch online sweet shops and place your order. They will deliver you the oven-fresh Gulab Jamuns that will add to the speciality of this festival. How can you just forget these spongy white sweets made of pure milk? In almost every alley of Bengal you will find a sweet seller with a “Haandi” full of Rasgullas. However, if you are looking to buy Bengali sweets online, then get in touch with the reputed online sweet manufacturers which offer this syrupy delicacy at their web stores. So, are you ready with “Gulal” and “pichkari”? Just put the right sweets on the platter and begin your celebration. Wish you a happy, colorful and safe Holi.